World's Longest Underwater "Sea Tube!" The tube travels the length of the Shark Tank, home to 15 species of sharks in a shipwreck set. While we were there, workers in dive gear were cleaning the inside of the tube, which greatly entertained The Girl. Bonus: they waved to her, making her giggle. 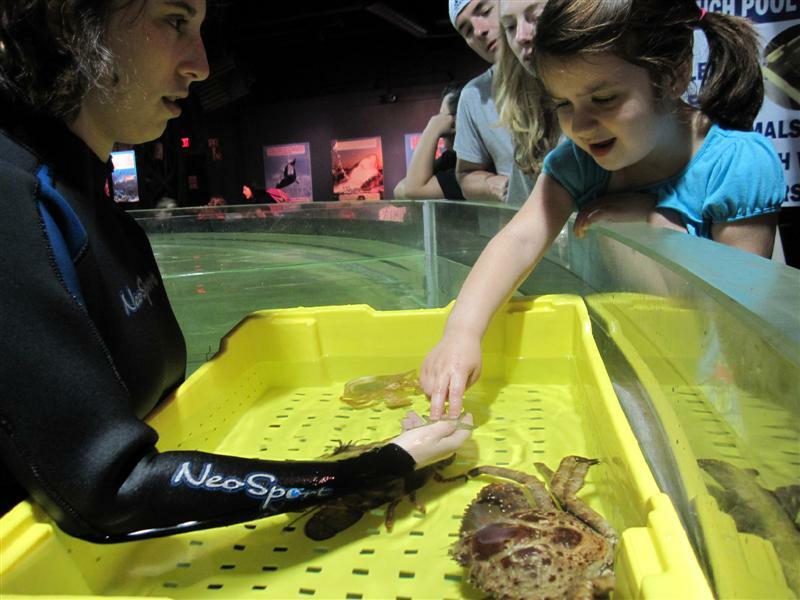 Another highlight of our visit was the giant Coastal Touch Tank. You know I’m a bit germaphobic. My worst nightmares are usually set in a petting zoo. But this exhibit was spotless. It didn’t even smell, like some of these tanks can. A stepstool was conveniently provided for small kids, and The Girl didn’t hesitate. She passed on the offer to touch a sting ray, choosing instead a few different shelled creatures: a helmet crab, slipper lobster, and starfish. Go ahead honey. Mommy is ready with the antibacterial wipes, gel, and spray. 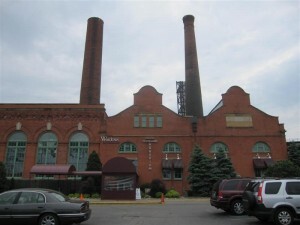 The aquarium’s location, set within the historic Powerhouse building, provides a lot of architectural interest. It’s located in the West Bank of the Flats, a grittier neighborhood, off the beaten path. Because of the building’s historic status, the 70,000-square-foot aquarium couldn’t make many structural changes. They worked well with the brick walls and thick wooden beams. You’ll find small aquariums set within brick arches, and even at the bottom of the old steaming chimney. Look up! 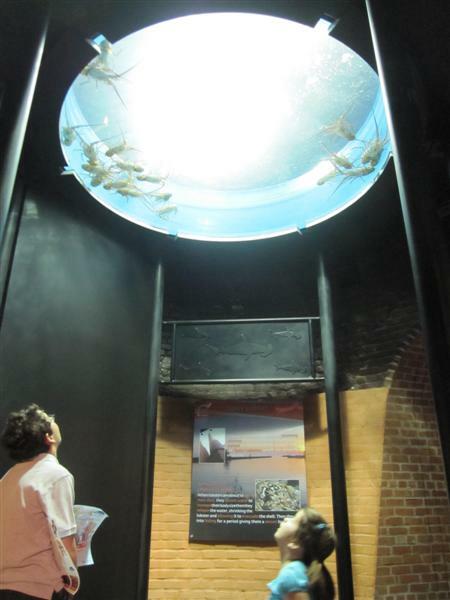 It’s a tank of Spiny Lobsters set at the bottom of the Powerhouse’s former steaming chimney. 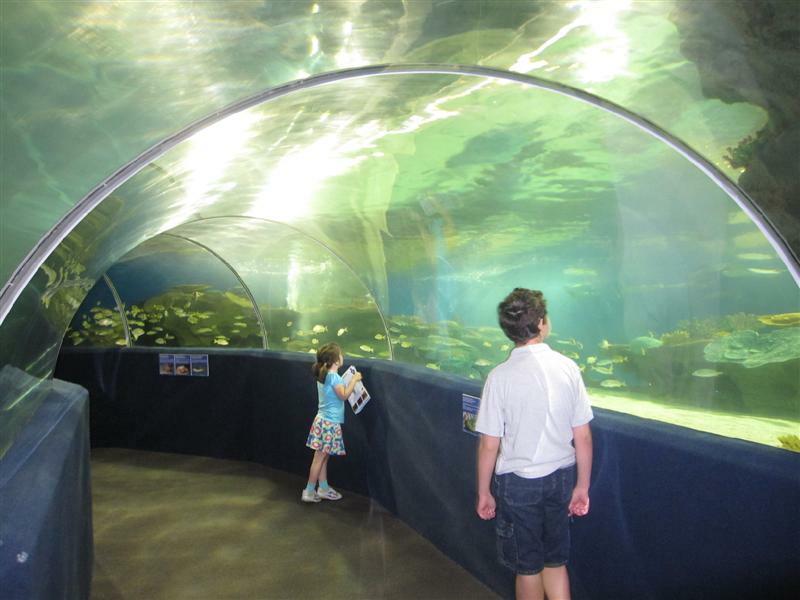 Entertaining, especially if you love aquariums, but this relatively small attraction is mostly a passive experience. I LOVE those aquarium tubes. Can’t imagine that Cleveland is on our short list of places we’ll soon visit, but when we do, I will add this location to our list of spots to see. Thanks for the post. 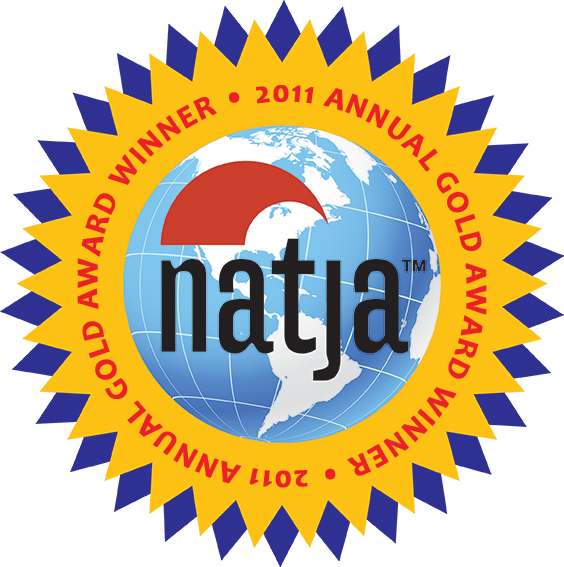 I love the whole concept of your site and adore checking in to see what your family is up to. Keep the oversized posts coming! Thank you! We’re headed to Boston next! Wow, this is awesome !!! 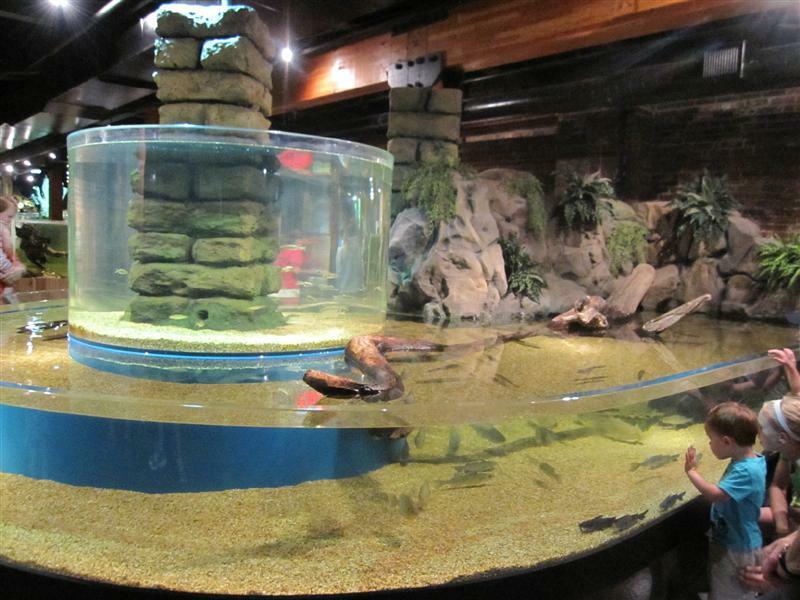 This aquarium looks like so much fun–and quite the learning experience! It must be so cool to be surrounded by water and sharks in that tube! Wow, I did not realize that Cleveland had an aquarium! Looks amazing…I’ll have to add it to my list of places to go! Hey, that’s me in that wetsuit! =) I love my job, haha. Make sure you all check out and “like” the Greater Cleveland Aquarium’s facebook page for updates on special events, offers, and other neat tidbits. We are always changing our exhibits around to keep things fresh for our annual pass holders, and just recently we have added two species of jellyfish, an amazing octopus, and adorable little cuttlefish to our collection! Thanks for checking in, Kali! You have the BEST job!